Gitika is using Smore newsletters to spread the word online. 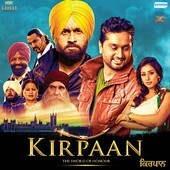 'Kirpaan -The Sword of Honour' is a new Punjabi film starring Roshan Prince out 7th February - Listen All Songs on Juke Box Here! Kirpaan.. the sword of honour’ is a family drama with various elements like patriotism, loss of identity among the young generation of today, family values, family honour, purpose in life, friendship and love. It is the story of the personal journey of the character Beeru – a young college going lad of Punjab living a carefree and purposeless life, who eventually disappoints his parents and also loses the love of his life due to his careless attitude. The rest of the story involves how he finds purpose in his life again and realizes his own identity in the world. It is the story of Beeru who from bringing disgrace to his parents finally goes on to work for his family’s honour. It is the fight against racism and slavery. Beeru’s grandfather had been a victim of racism which eventually led him to murder a race supremacist and that led him to be arrested and hanged till death. The grandfather died protecting the family’s honour which was an ancestral historical Sword. Decades later the grandson – Beeru, completely purposeless and broken in life finds purpose again by securing the Sword which was enclosed in a museum. This film intends to touch the heart of all those youth of Punjab (and otherwise) that find themselves increasingly alienated from their family, family values & culture. It is reinstating of the core value that ‘if you fall seven times ; get up eighth’.. that the meaning of life is not to give up but to keep fighting on. This film aims to connect with the young generation and that they can relate to the character Beeru – with the circumstances he faces, his inner turmoil, the evil he is fighting, and a positive sense of direction that he finds in life again. ‘Kirpaan.. the sword of honour’ is a message against racism, bigotry and hatred and reinstates self respect and individual identity.